In late March of 1981, Covenant House was incorporated and opened its doors as a drop-in center. A centralized food pantry, clothing closet and emergency assistance fund were also established. Also during March of 1981, the first co-directors, Barbara Ferraro and Patricia Hussey, were hired, but could not begin work for several months. In the interim, Pat Perelman from Christ Church United Methodist volunteered as the Director, keeping Covenant House afloat until the new directors arrived. On September 1, 1981, Pat & Barbara took over leadership of the organization, expanding the fledgling organization to new heights of service over the next 26 years. 1981: Provide free office space to Kanawha Hospice to get established and become its own independent organization. 1982: Assist with organizational development and free office and operational space for West Virginia Health Right (a free health clinic). 1982: Take a leadership role in the formation of Sojourners, a shelter for women and children, providing personnel, organizational development and financial assistance. 1982: Oppose proposed changes to the State Department of Welfare’s policy that would penalize welfare recipients receiving monetary assistance from charitable organizations. 1983: File an amicus brief in the West Virginia Supreme Court which stated “all people in West Virginia have a right to shelter, food and medical care.” West Virginia was the second state in the nation to provide these basic rights. 1983: Establish, with other local groups working on homelessness, the Charleston Coalition for the Homeless. 1984: Develop Charleston Public Housing Authority policy giving priority status and placement to people who are homeless. 1984-1989: Give space, personnel, financial and organizational assistance to Cooperative Sewing Inc., a co-op for low-income women. 1986: Organize and sponsor the first state-wide conference on homelessness, “Homelessness: The Problem, Root Causes and Solutions.” A resource book with the same name was produced following this conference. 1986: Publish “The Road to Nowhere”, a short video of homeless individuals’ testimonies with an accompanying teaching aid. 1987: Launch the Rural Housing Program, establishing community development organizations which operate free of political party control. In 1989, Clay Mountain Housing, which began as part of the Rural Housing Program, became financially independent of Covenant House. 1987-1988: Work to increase public understanding of rural homelessness as distinct from urban homelessness; wrote and published “It Ain’t Much, But It’s All I Got”, which is available at the Kanawha County Public Library. 1988: Protest inaccessibility of Kanawha County’s Office of Department of Welfare to outside Charleston city limits; Secure accommodations by KRT to provide free bus passes to and from the welfare office. 1988: Open the only comprehensive residential and resource program for people with AIDS, which remained the sole residence in WV for those living with the virus until 1995. 1990-1991: Assist with the incorporation of Harts Community Development, an organization created by low-income people in Lincoln County. HCD became financially independent in 1991 and HCD’s first home, built by volunteers, was dedicated that same year. 1991: Launch a Single Mothers’ Program aimed at “breaking the cycle” of poverty for families living on welfare. The following year, participants moved into a newly renovated home and apartments. 1991: Produce “A Time To Care”, a video celebrating the lives of five Covenant House program participants in commemoration of the organization’s tenth anniversary and services of Covenant House. 1991: Conduct and publish a study on rural homelessness (the Rural Housing Program). 1991: Launch the holiday Adopt-A Family linking congregations, businesses, schools and individuals with families in need during the holiday season. 1992: Begin offering a formalized counseling program for individuals, couples, and families, in keeping with the idea that health care is a right. 1992: Provide staff, financial assistance, and organizational/community development consulting to CORA Community Development, part of the Rural Housing Program (which evolved into the Logan County Improvement League), which became incorporated that year. 1993: Incorporate Community Housing, Inc. as a housing non-profit tasked with developing two Section 8-11 homes providing housing for people with HIV/AIDS who would otherwise by homeless. The homes were completed and open to residents within the next two years. 1994: Secure funding from the WV Department of Education, WV Bureau of Public Health and the Greater Kanawha Valley Foundation for production of the play, “Gone Tomorrow”, performed by teenagers for teenagers and addressing the AIDS epidemic. With an educational session follows each performance, the play was seen by 18,500 West Virginia youth and adults over the next nine years. Taped for national distribution by Cambridge Educational Products in 1995-96, it received a bronze medal at the Columbus International Film and Video Festival and an award at the International Film and Video Festival in New York. 1994: Publish “Building Community, Creating Hope” highlighting the history of Harts Community Development, Inc. — a model for rural economic development. 1994: Approved as a Community Housing Development Organization (CHDO) by the WV Housing Development Fund. 1995-1996: Form Challenge West Virginia – a Covenant House advocacy program addressing popular education reform. 1995-1996: Become lead agency for fund dissemination through the Housing Opportunities for People With AIDS (HOPWA) program, helping to secure more than $1 million in federal dollars within three years. 1995-current: With two other community-based housing/AIDS service organizations, form a state-wide coalition: the West Virginia Housing and Advocacy Coalition for People with AIDS. By 1999, the Coalition was nominated for its work for HUD’s “Best Practice award”. Over the next ten years, the Coalition was approved for and drew down millions of dollars in federal HUD dollars to assist people living with HIV/AIDS. 1995-1996: Played key role in development of the Kanawha Valley Collective, the local Continuum of Care association of social service organizations assisting those experiencing homelessness. 2000-2002: Began planning a new building for Covenant House at 600 Shrewsbury Street, Charleston. Within 22 months of beginning the capital campaign for the new building, the goal of $2.25 million was realized, making Covenant House debt-free. In 2001, Simpson Memorial United Methodist Church hosted a groundbreaking ceremony attended by City and State officials, neighbors, supporters and program participants. 2000: Staff a new outreach program or those living in homelessness, in collaboration with five Kanawha Valley Collective partners. 2001: Complete construction of the new Covenant House in September, and programs become fully operational on October 5, 2001. Charleston Renaissance awards Covenant House with “Best New Development Award” for 2002. 2001: Celebrate 20 years as an organization with a dinner/theater event and the screening of “Quest for Justice” a video celebrating 20 years of work was shown. Volunteers and staff were honored for their work and gift of time to the organization, while entertained by nationally known political comedian Jimmy Tingle. 2002: Establish an endowment fund to ensure continuation of maintenance and sustainability of programs. 2002-2008: Continue to grow Challenge WV with local chapters formed in 27 counties and state-wide monthly meetings held at Covenant House. On January 1, 2009, Challenge WV became its own non-profit organization. 2007-present: Collaborate with the WV chapter of the American Institute of Architects, host an annual “Canstruction” competition to raise awareness about hunger in our city. Architectural, engineering, and construction firms compete against each other, building colossal structures entirely out of canned food. 2007-present: Assist in organizing the Kanawha Valley Collective and WVMHCA’s annual “One Night Without A Home” sleep out event at Magic Island in downtown Charleston, raising awareness about homelessness in Charleston. 2007-present: Take a lead role in ensuring the coordination and sustainability of the Frank Veltri Thanksgiving Dinner for those who are shut-in or experiencing homelessness. 2007-present: Collaborate with other local AIDS service organizations to present a Charleston World AIDS Day commemoration each December 1. 2008-present: Take a lead role in bringing the national SSI/SSDI Outreach, Access, and Recovery (SOAR) program to West Virginia. Hire staff who, using the SOAR model, identify people living in homelessness with serious mental illness and who are eligible for federal income benefits and assist them throughout the application process as a step to their recovery. 2008-2009: Coordinate a Diversity Program, seeking to provide various educational opportunities for Charleston related to cultural awareness, principles of community, and the development of a safe, respectful and inclusive city. 2008-2009: Launched a new Health Outreach approach, focused on raising public awareness on important health issues. Activities included media campaigns series on smoking cessation and HIV/AIDS awareness. 2009: Participate in a formal, legal intervention in West Virgina electric companies’ request of the WV Public Service Commission to raise their rates. Covenant House with attorneys from Mountain State Justice leading the charge requested, among other things, the establishment of programs and protocols to ensure that low-income consumers retain access to electricity. 2009: As part of a team of Kanawha Valley Collective service providers, launch a program funded by the American Recovery Act: Homeless Prevention and Rapid Re-Housing program (HPRP). Covenant House’s HPRP program provides assistance to low-income families and individuals directly affected by the recession to retain housing or to quickly regain housing if already facing homelessness. 2010-2012: Became a recipient of the HUD Housing Frist program. Housing First is an approach that centers on providing homeless people with housing quickly and then providing services as needed. 2013: Covenant House became a Community Assister, helping hundreds of individuals enroll in Medicaid Expansion under the Affordable Care Act. Executive Director, Ellen Allen was invited to the White House to serve on a HUD panel to discuss health care and housing. 2014: Beth Lazear, Director of Programs, started the first communal garden on site at Covenant House, providing fresh vegetables to the Covenant House community. 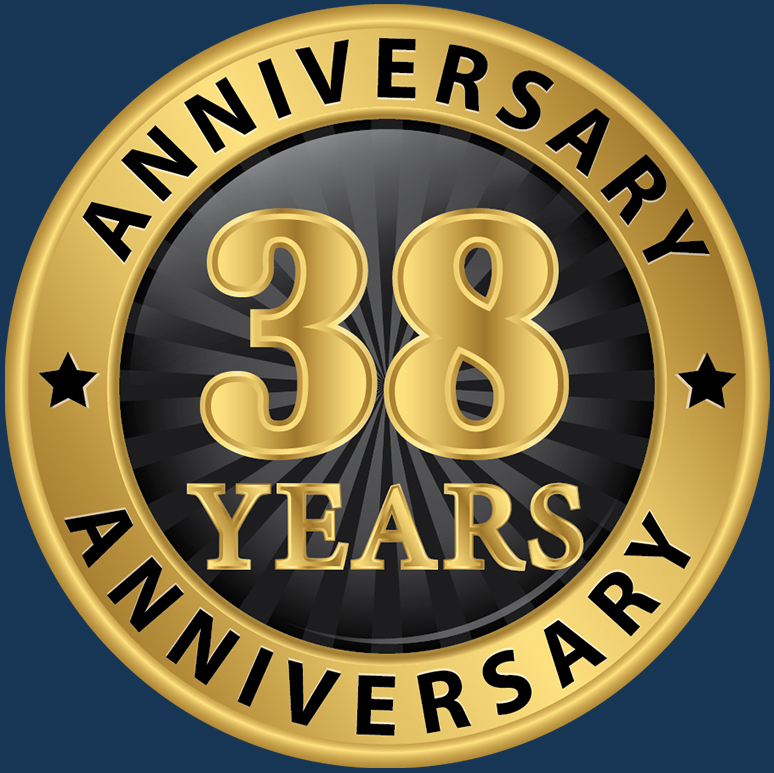 2015: Covenant House celebrates 35 years of fearless advocacy. a Tapas-style Dine-Around featuring over 15 local celebrity chefs!